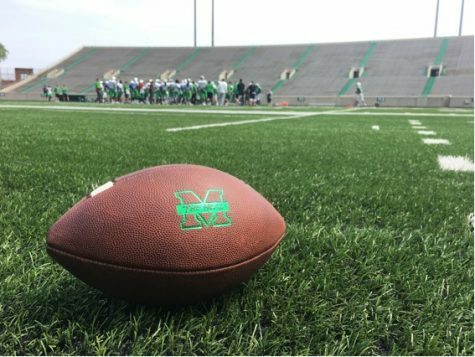 Down 14-0 before ever having the offense take the field is exactly the kind of adversity Marshall University head coach Doc Holliday has been talking about all season. 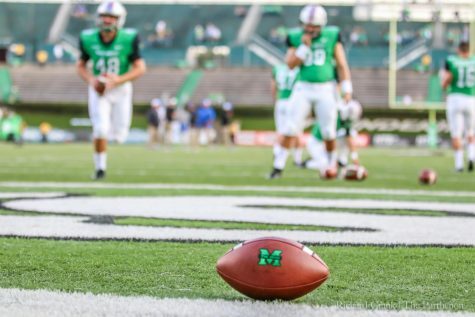 Fortunately for the Thundering Herd, it was able to respond with overwhelming force, outscoring the University of Southern Mississippi Golden Eagles 63-3 on its way to a 63-17 win. The Golden Eagles opened the game by pounding the Herd defense on the ground, ending a 13-play, 75-yard drive with a two-yard touchdown run. On the ensuing kickoff, USM surprised the Herd with an onside kick and recovery that led to another touchdown. 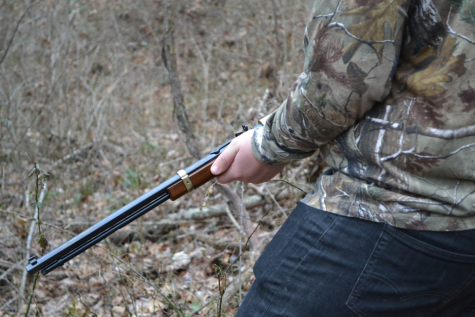 There’s your adversity. 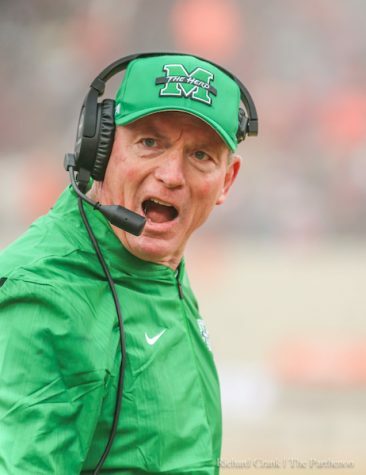 Over the course of the next 45 minutes of game time, however, it was all Marshall. 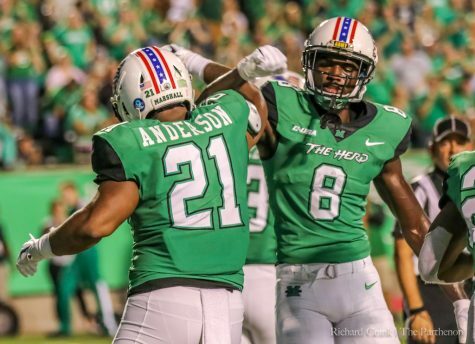 Powered by quarterback Rakeem Cato and running back Remi Watson, the Herd climbed out of the 14-0 hole in a hurry. 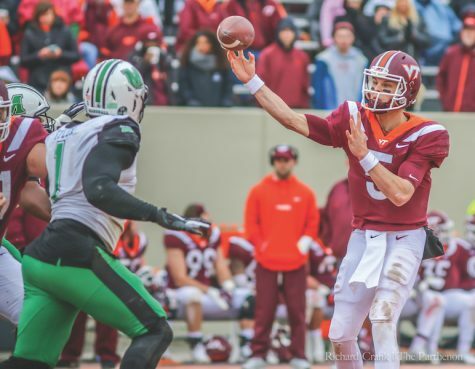 In one of his best over all performances of the season thus far, Cato threw for 186 yards and added 92 yards on the ground. The senior quarterback also had three touchdowns (two passing, one running) while leading the offense to nine touchdowns. 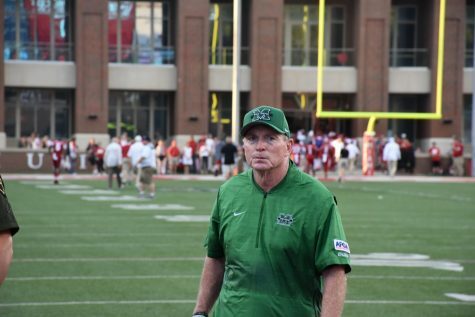 Cato, still a dark horse for the Heisman Trophy, had his moment during the Herd’s first score. On third and goal from the two-yard line, Cato dropped back to pass, but was forced out of the pocket. After scrambling for what seemed like 50 yards and five minutes, Cato, with momentum carrying him out of bounds near the 25-yard line, found Watson in the end zone for what would go down as a two yard touchdown pass. Watson, who got the start due to Devon Johnson being out with a lingering injury, accounted for four of the Herd’s touchdowns. 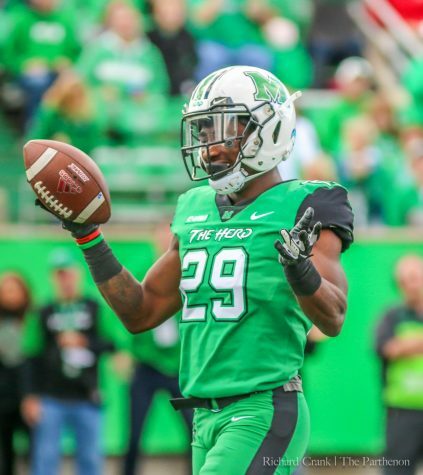 Steward Butler led the team in rushing with 118 yards, most of which came on the first play of the fourth quarter, when Butler took a handoff 83 yards for his second touchdown. Continuing a string of games in which it’s clamped down defensively, the Herd allowed just three points after going down 14-0 early. 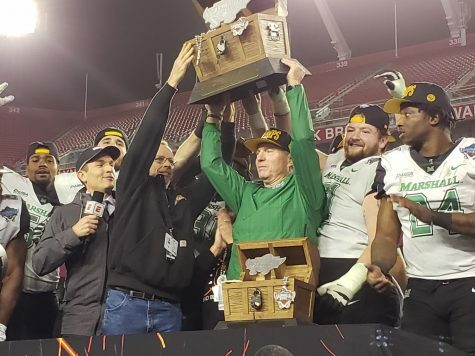 The Herd defense forced four turnovers and constantly got to USM quarterback Cole Weeks, sacking him six times. Linebacker Jermaine Holmes and defensive back Corey Tindal led the team in tackles with eight each. 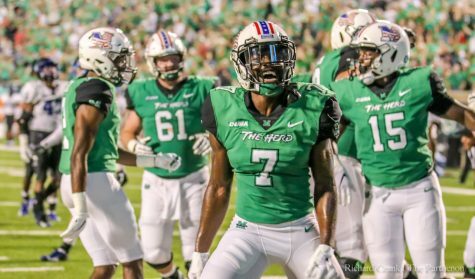 Next up for the Herd is a home matchup that has been circled on many calendars since the schedule was released: Rice University. 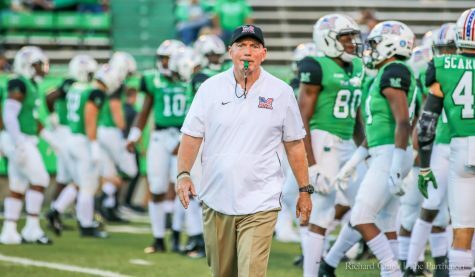 The 6-3 (4-1) Owls are the last team to beat the Herd in its last 16 games, including a 41-24 loss in last season’s Conference USA championship. Kickoff is scheduled for 2:30 p.m. Saturday. The game will be televised on Fox Sports Network.